When applying for compulsory certification products (hereinafter referred to as “CCC products”), the applicant may indicate the specific use of CCC products through remarks and briefings, including: exhibition, exhibition sales, construction or use of the exhibition site. The CCC products used only for exhibitions shall be filed, declared and supervised in accordance with the relevant requirements of Shanghai Customs and shall be exempted from immigration verification. The CCC products used for construction or use (consumption) of the exhibition site shall be implemented in accordance with the relevant requirements of Shanghai Customs, and the relevant customs agencies shall verify the actual use of the products and be exempt from the implementation of entry verification. For CCC products used for exhibition sales, if the applicant has obtained compulsory certification, the applicant shall provide a true and effective compulsory certification; if it is exempt from the compulsory certification conditions, the applicant shall go through the relevant business system for formalities or provide The paper “exempt from the compulsory product certification”; if the applicant does not need to apply for compulsory certification, the applicant shall provide relevant certification materials. The relevant customs agencies implement the entry verification according to the unified deployment of the business system. Check the consistency of CCC certificate information and product information. Check whether the product is subject to the real and effective CCC mark and whether the mark pattern complies with the relevant mandatory certification implementation rules. Check the product name, specification and model, warning instructions, etc. on the label, manual and packaging of the product. Check the key parts of the product, including safety, hygiene, environmental protection, and quality projects. If necessary, further samples are taken for safety testing and consistency verification. 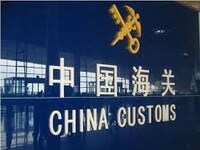 Shanghai Customs will dispose of the illegal acts found in the entry verification work of CCC products at the Import Expo. This announcement will take effect on October 10, 2018.